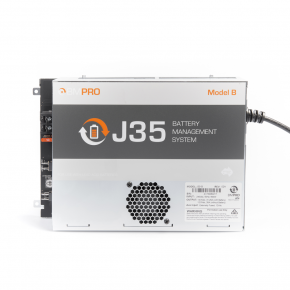 J35 Model A is a 12V battery management system with a multi-stage battery charger, with total current of 20 Amp. 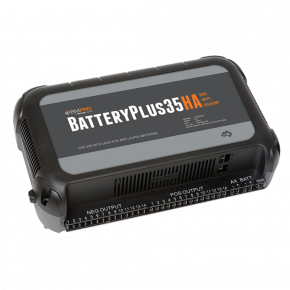 J35A is specially designed for Jayco recreational vehicles. With J35A, you can charge your battery to the optimal charge level from AC mains or from Auxiliary (DC or vehicle power). A maximum DC charging current is 15 Amp. 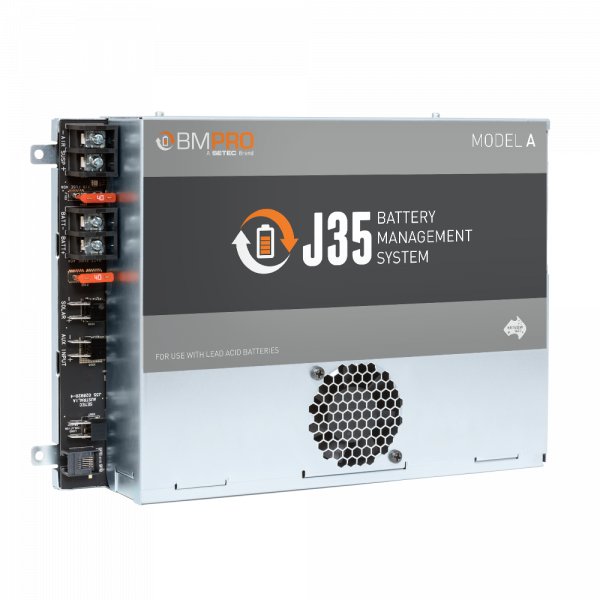 J35A preserves the health of the battery by inhibiting it from getting overly discharged. 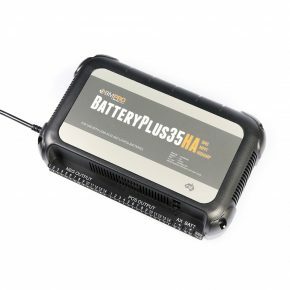 Other protection and operating features keeping your battery healthy include: thermal protection, over-current, over-voltage, multi-stage charging, low-voltage disconnect. 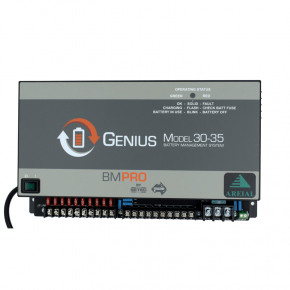 There’s no need for external fuses thanks to the built in electronic fuses protecting the loads. There are seven outputs to connect your DC appliances. 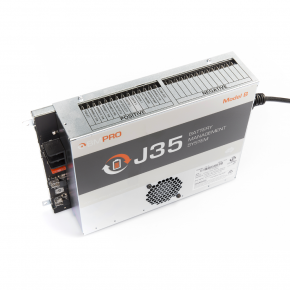 J35A also allows to connect accessories, such as JControl and JDisplay.